Established in 2013 KnowNow Cities is a wholly owned subsidiary of KnowNow Information Ltd . KnowNow Cities specialises in creating useable and interactive Technology Infrastructure Blueprints and Roadmaps for smart cities. In effect KnowNow Cities creates an Enterprise Architecture for the Smart City. Our goal is to design the best possible technology infrastructure for tomorrow; and deliver the most cost effective, resilient and sustainable technology infrastructure for today. It is important that when creating architectures that they use a method that peers and wider industry can interpret. For that reason, KnowNow Cities uses Enterprise Architecture industry standard principles (based on ToGAF). One speciality is our ability to map the technology infrastructure to construction industry templates such as the ‘RIBA Plan of Work’. KnowNow are members of the City Standards Institute at the Future Cities Catapult. The principle of KnowNow Cities is Chris Cooper, a co-founder of KnowNow Information. Chris has over 18 years of experience in the Information Technology industry and is recognised as an expert in smart cities. 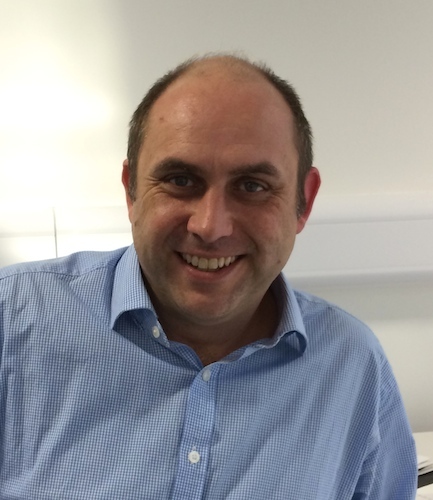 Chris is a Chartered Engineer and was part of the team that wrote the BSI Smart City Interoperability Framework. Chris was previously the Smart Cities technical leader at IBM UK. Chris is a transport subject matter expert, with a background in asset management, intelligent transport systems, complex enterprise systems and technology infrastructure architecture. Chris is available for lectures and speaking engagements on smart cities. Take the KnowNow Cities Questionnaire. This will help identify where your place is on its smart city journey.